LOC’s own Peter Baggaley, Mohamed Ahmed and Tamer Gamil are attending EGYPS 2019. 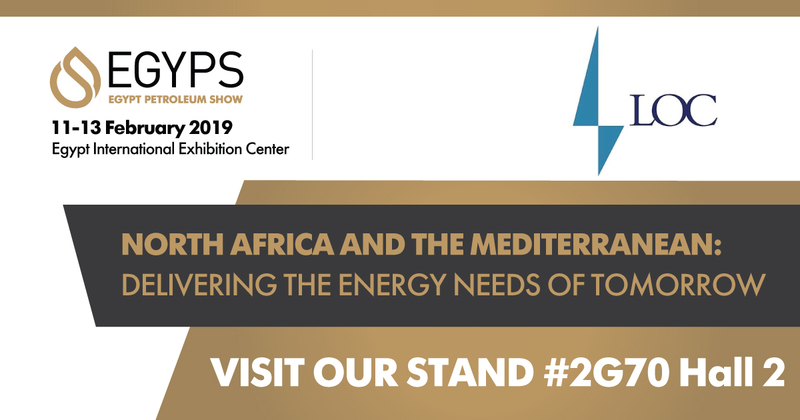 EGYPS is a key platform in the North African energy calendar bringing together government representatives, key project owners, NOCs, IOCs, international service providers, EPC contractors, consultants and financiers to address the evolving opportunities in the North African and Mediterranean energy area. EGYPS is held on the 11th – 13th of February at the Egypt International Exhibition Center, New Cairo. Make sure you stop by our booth #2G70 in Hall 2!